For the second time this week, SpaceX has static fired one of their rockets at their Florida launch location. Static fire operations of the flight-proven booster that will launch the SES-16/GovSat1 mission next week occurred around midday local time on Friday. Static fires, while never routine (as nothing in spaceflight is), are becoming commonplace for SpaceX and the Florida coast. On Wednesday, the company fired up all 27 engines on its new Falcon Heavy rocket for the first time at LC-39A at the Kennedy Space Center – a test firing that provided SpaceX with crucial data needed to clear final analyses and eventually set a launch date for the world’s new heavy-lift vehicle. The day after the Falcon Heavy static fire, SpaceX rolled a flight-proven Falcon 9 booster and brand new second stage from the Horizontal Integration Facility (HIF) at SLC-40 out to that launch pad at the Cape Canaveral Air Force Station, erecting the rocket overnight ahead of static fire operations needed before its scheduled 30 January 2018 launch of the SES-16/GovSat1 satellite. According to a request made by SpaceX to the Eastern Range and the 45th Space Wing, static fire of the SES-16 booster was to occur either today or during a backup window tomorrow. SpaceX confirmed the firing took place successfully around midday on Friday. This now paves the way for a data review and an L-2 (Launch -2 day) Launch Readiness Review that will likely clear the Falcon 9 for launch of the SES payload. As with all SES missions with SpaceX since SES-10 in March 2017, the launch of SES-16 will use a flight-proven Falcon 9 booster, specifically B1032 which previously launched the NROL-76 classified mission for the National Reconnaissance Office in May last year. 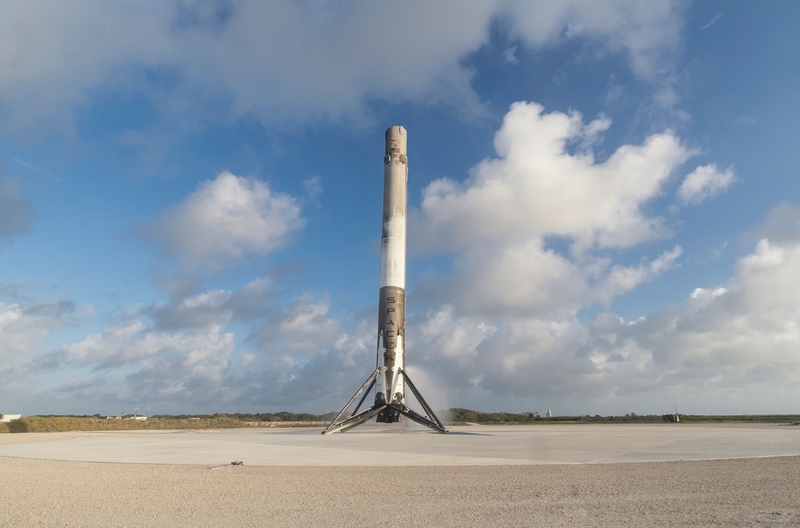 As confirmed by SpaceX in December 2017, flight-proven boosters, once returned to land, do not go back to McGregor, Texas, for additional testing following their first flights but are instead refurbished and put through a longer static fire to verify booster health and performance. And such is the case with booster B1032, which remained at the Cape Canaveral Air Force Station following its Return To Launch Site (RTLS) landing after launching NROL-76. Booster B1032 is a Block 3 version of the Falcon 9 vehicle, and while this will only be the booster’s second flight, it will fly in its expendable configuration. This same practice was seen in December with the Iridium NEXT-4 launch. Overall, SES-16/GovSat1 will be the second mission for SpaceX in 2018 in a year that promises to be quite busy for the commercial company – with close to 30 launches planned this year between the Falcon 9 and Falcon Heavy rockets. As stated numerous times last year, the ability for SpaceX to have two operational launch pads at its Florida launch location greatly aids the company’s ability to process multiple rockets in separate flows – as is being seen now with the Falcon Heavy undergoing preparations for its maiden launch from LC-39A while neighboring SLC-40 launches satellites for SpaceX’s other customers. In fact, SES-16 will kick off a busy two weeks for SpaceX, with four launches (three Falcon 9s and 1 Falcon Heavy) slated to occur between 30 January and mid-February. The Falcon Heavy in early February is based on public statements by Elon Musk and Gwynne Shotwell, SpaceX’s President and COO. UPDATE: NASASpaceflight has confirmed that the current No Earlier Than launch date for Falcon Heavy is 6 February, with a backup on the 7th with a daily launch window of 13:30-16:30 EST (18:30-21:30 UTC). 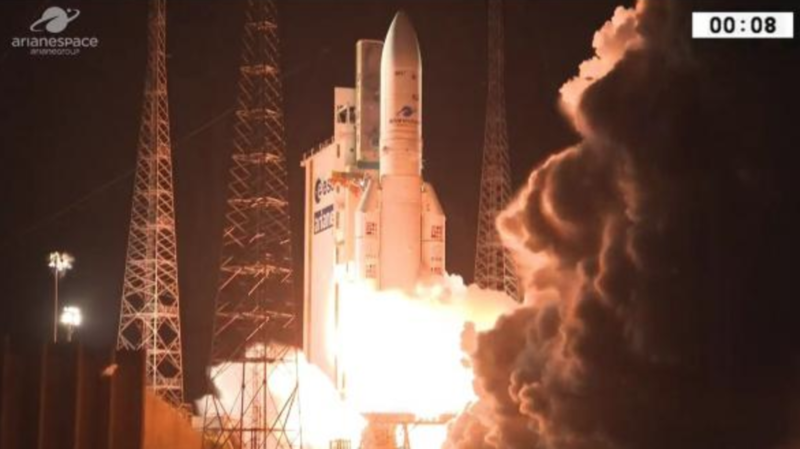 SES-16/GovSat1 will be the SES corporation’s second launch in just five days, as the company was one of two that had satellites riding to orbit on an Ariane 5 rocket Thursday from Kourou, French Guiana. After initial indications that Ariane 5 had an anomaly, the SES-14 satellite, as well as the other satellite on board (Al Yah 3), were both confirmed to be in lower-than-planned but stable orbits with their onboard propulsion systems capable of boosting the satellites to their intended orbit with full mission success expected/preserved. 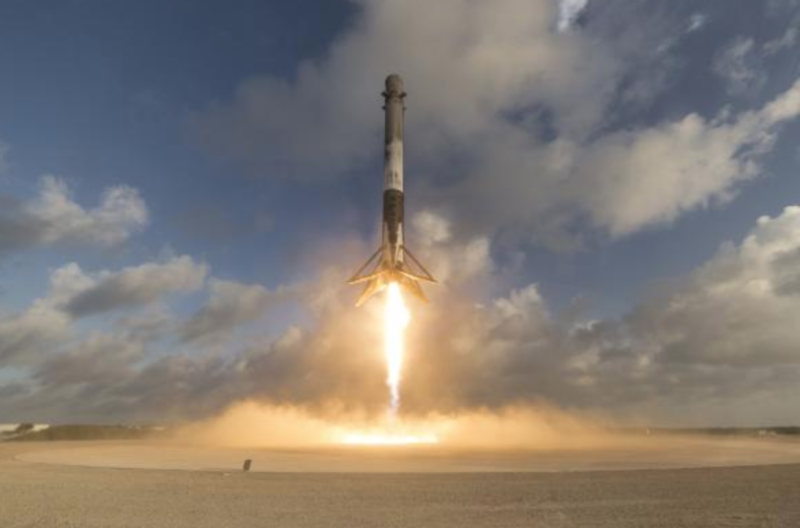 Moreover, the SES corporation – one of two of SpaceX’s most prominent commercial customers – was the first of SpaceX’s customers to publicly confirm that they had reviewed the available data of Falcon 9’s performance following the Zuma launch and could confirm that the Falcon 9 performed perfectly during its 8 January 2018 launch. The very public statement affirmed SES’s commitment and faith in SpaceX and the Falcon 9 rocket – which the company will use for a fifth time with SES-16’s launch. Launch of the Falcon 9 with SES-16/GovSat1 is scheduled for 30 January 2018 during a 2 hour 14 minute window extending 16:23 – 18:37 EST (21:23-23:37 UTC) from SLC-40 at the Cape Canaveral Air Force Station, FL.